Manage your online reputation to increase your bookings. 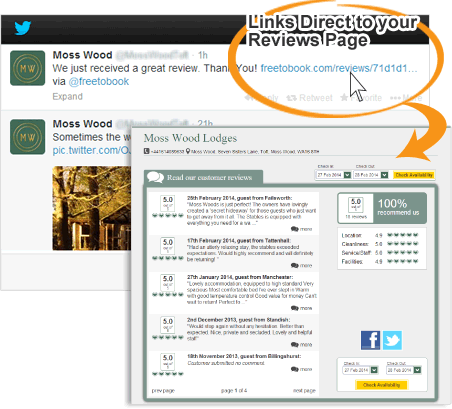 Link your Social Media to your booking engine. It takes a lot of hard work to build a reputation, so it makes perfect sense to make the most of your reputation online. 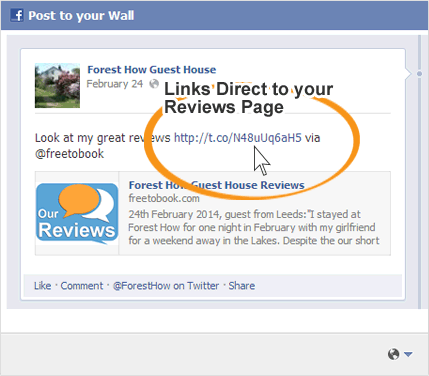 Turn your facebook page into a great booking tool with our free facebook app designed for accommodation providers. 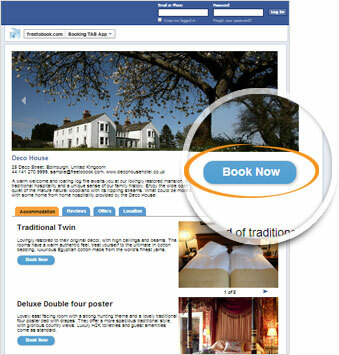 In just 20 minutes you can create a page like this, specifically designed for accommodation providers. 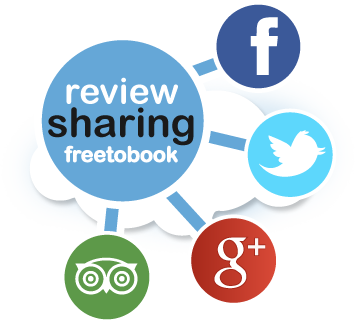 Freetobook's review sharing system leads to more direct commission free bookings. Getting your reviews out there and read by potential guests helps reinforce your key message - "book now and stay with us!"